Do you have a flat tire? Did you run out of gas? Is your car battery dead? Are your keys locked in your car? Don't get stuck on the side of the road with no one to help, call Elwood Towing & Recovery for fast, reliable and affordable roadside assistance. Jacksonville, FL ,Orange Park, Middleburg, and Green Cove Springs residents call today for the best towing company in town. When you head out on the road, you may expect to have a smooth trip to and from your destination. When troubles arise, however, you may be left wondering what you can do to get your car towed and get yourself and your family to safety. That is why at Elwood Towing & Recovery we provide roadside assistance in Jacksonville, Middleburg, Orange Park, and Green Cove Springs for car owners to get help anytime day or night. Rather than leave your car out on the highway or stranded on the side of the road, you can call our company for tire changes, fuel delivery, or emergency towing service. Trapped Because of an Auto Lockout? Jacksonville Residents Call for 24/7 Service! 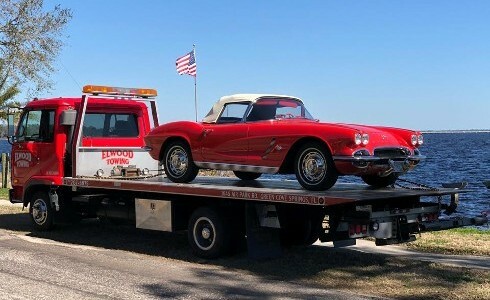 At Elwood Towing & Recovery, we offer roadside assistance for Jacksonville, Middleburg, Orange Park, and Green Cove Springs thats practical for your budget. 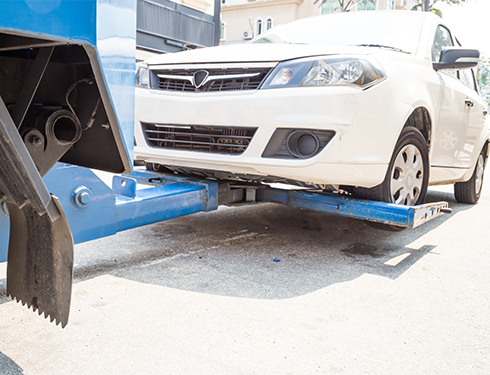 While some insurance companies may cover the expense of towing, we still provide affordable service for those who lack this kind of coverage. We provide roadside assistance and towing 24 hours a day, 7 days a week in Duval County, Clay County, St. Johns County and surrounding areas. We also offer roadside assistance and towing discounts for people who are serving in the military. Contact Elwood Towing & Recovery to learn more about our fast and trusted roadside assistance for when you are in need. 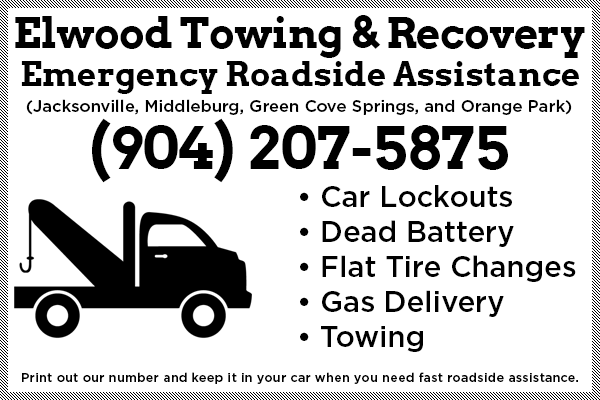 Keep our number in your phone when you need affordable and local roadside assistance or towing service in Green Cove Springs. As your trusted local towing company, we are here for your 24 hours a day 7 days a week with roadside assistance. When it comes to roadside assistance in Jacksonville to Orange Park to Middleburg, our tow operators are experienced in dealing with a wide variety of challenges. For example, if you slide off the road during a heavy rainstorm, you may need a tow truck for off road recovery. By calling our professional company for towing service and roadside assistance, we can easily pull your car or truck out. A fast phone call for our roadside assistance is your answer to getting out of the ditch and back on your trip quickly. 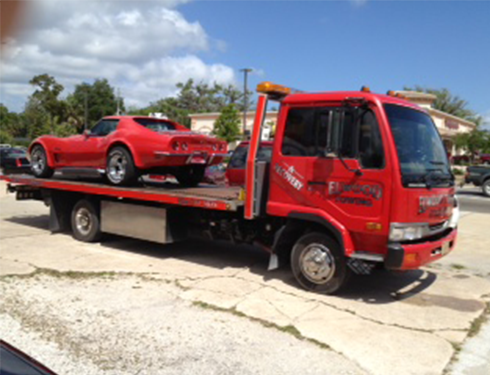 We are experienced in recovery towing, no matter where your car or truck is stuck. If your car overheats, starts to malfunction, you have a flat tire, or you run out of gas, we can easily come to your rescue with our fast and reliable roadside assistance. Trying to drive a car that is malfunctioning can be dangerous and ill advised. Instead of trying to make it to the next exit or service station, you should pull over and call Elwood Towing for our reliable and affordable roadside assistance and towing.